Anmol Chemicals is the pioneer manufacturers of Sodium Thiosulfate, Pharmaceutical Excipients Fragrance & Flavor chemicals in India. We offer Halal and Kosher Sodium Thiosulphate made in an ISO9001, ISO22000 (FSSC22000) and cGMP certified facility. Our group has several manufacturing facilities spread across the world, supported by toll manufacturers and representatives in UAE, Europe, Africa, USA, China and has several associated manufacturing facilities spread across India. All the Information on Physics, Chemistry, Applications, Uses and Technology on Manufacture of Sodium Thiosulfate is in these pages. Sodium thiosulfate or Sodium thiosulphate is used as a component in hand warmers and other chemical heating pads that produce heat by exothermic crystallization of a super cooled solution. 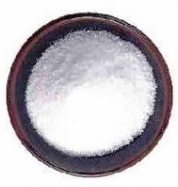 Sodium thiosulfate or Sodium thiosulphate is used in Bleach. In pH testing of bleach substances. To de-chlorinate tap water for aquariums or treat effluent from waste water treatments prior to release into rivers. The amount of Sodium thiosulfate or Sodium thiosulphate required can vary with the pH of the water. A range of approximately 2 to 7 parts sodium thiosulfate to neutralize one part chlorine is generally suggested. To neutralize 1 liter of a 200 ppm chlorine solution, approximately 0.4 - 1.4 grams of sodium thiosulfate would be required. Sodium thiosulfate or Sodium thiosulphate is used to lower chlorine levels in swimming pools and spas following super chlorination. It is used to remove iodine stains, e.g. after the explosion of nitrogen triiodide. Sodium thiosulfate or Sodium thiosulphate is used in bacteriological water assessment. It is used in the tanning of leather. Melted sodium thiosulfate is very easy to overcool to room temperature and when crystallization is forced, the sudden temperature jump to 48.3°C can be experienced by touch. It is used in phase change material. Sodium thiosulfate or Sodium thiosulphate is used in paper industry. It is used in medicine and as disinfectant. A low amount can be found in natural hot springs water, but they do have trace sodium sulfide too, which is why it can used to treat skin problems and some bathe in it to relieve them of skin problems, rheumatism, although indirectly. It is systemically for cyanide or arsenic poisoning and topically as an anti­fungal. It is used in electroplating. As part of patina recipes for copper alloys. Often used in pharmaceutical preparations as an anionic surfactant to aid in dispersion. We export both the grades Pentahydrate and Anhydrous. 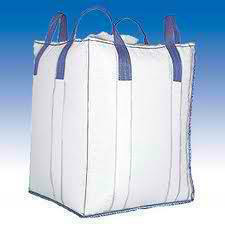 We can give the technical grade small crystals and large crystals too. 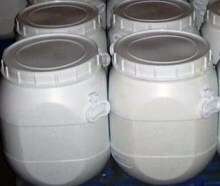 We can give both the grades Sodium Thiosulphate Pentahydrate and Sodium Thiosulfate Anhydrous. We can give the technical grade small crystals and large crystals too.